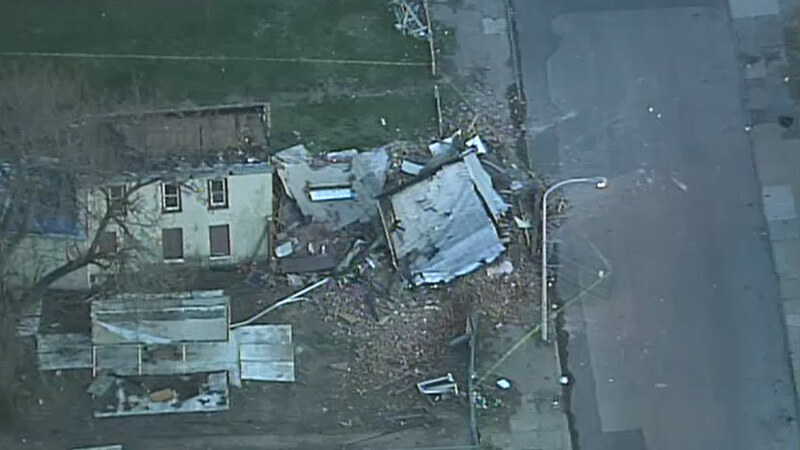 PHILADELPHIA (WPVI) -- Chopper Six was over the scene of a house collapse in North Philadelphia Thursday evening. Firefighters responded around 6:30 p.m. to the 2100 block of Germantown Avenue. Authorities say bricks and mortar gave way and crumbled to the ground. There was a report of entrapment, but fortunately, crews found no one in the rubble. Licenses and Inspections are working to determine why the house collapsed.